Oh baby this bread is goooooooooood! We made it for Thanksgiving dinner. 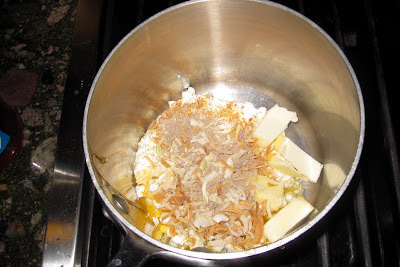 It uses onion soup mix, which is full of great hearty flavor. Lipton's makes a perfect onion soup mix and I think they come two packets to a box. 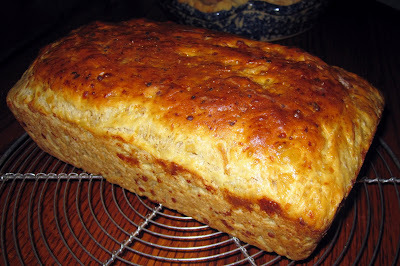 So, if you make the Spinach Kugel I posted a few months ago, you can use one onion soup packet for that, and the other for this delicious bread. The recipe calls for dill, but in the crazy kitchen chaos hours before Thanksgiving dinner, we couldn't find dill in the spice cupboard so we skipped it. I made the bread again last night and did use dill in it, and holy mother of breadgoodness, it adds wonders to an already spectacular loaf! 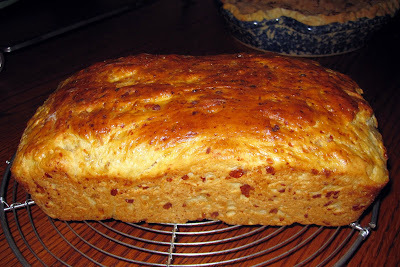 So with or without dill, this bread is a keeper. After Thanksgiving was over, the leftover loaf made a great sandwich with some swiss cheese, lettuce, and avocado. Yum! And did you notice in the title that it's no-knead? That means no pulling out the pastry board, dirtying extra dishes, and putting your fists into it. 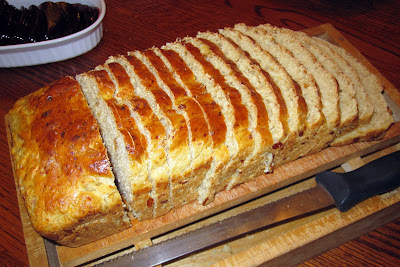 Easy breezy yeast bread! 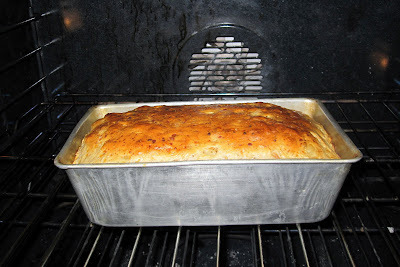 Note from author: Lots of onion soup mix and dill lace this tender, even-grained peasant loaf. A perfect partner to heaty soups and entrees. Pour water into a large bowl. 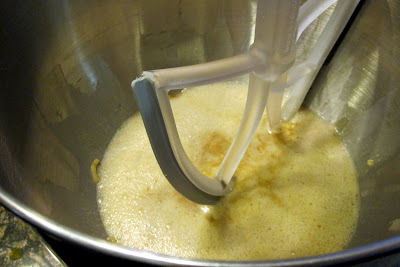 Stir in yeast and sugar; let sit 5 minutes or until foamy. 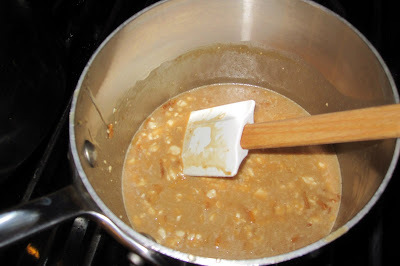 In a medium saucepan, heat cottage cheese, butter or margarine, honey and onion soup mix until buter melts and mixture is warm to the touch. Stir in dill, baking soda, salt and egg. Stir into yeast mixture. 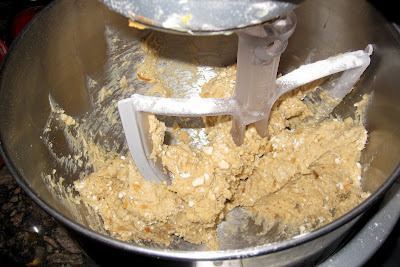 Stir in flour; the batter will be stiff. Cover with a piece of oiled plastic wrap and a damp towel. Set in a warm place and let rise 1 hour or until doubled in bulk. 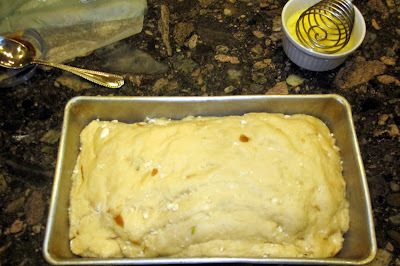 Punch dough down and place in a well greased 9x5x3-inch loaf pan. Cover and let rise 1 hour. Preheat the oven to 350 degrees. 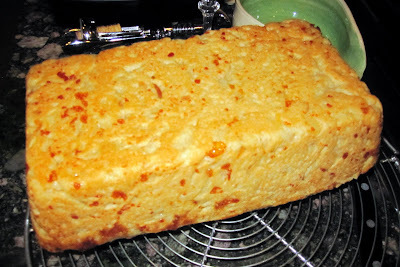 Brush the top of the loaf lightly with egg glaze. Bake for 30 to 40 minutes or until the top is browned. Remove from oven, immediately go around edges with a knife and invert loaf. Turn right side up and cool on rack. Serve with butter, if desired. *The bread may be wrapped in foil and stored at room temperature up to 2 days or frozen. Remove from pan, turn over, and tap the bottom to listen for a hollow sound, which indicates it's done. 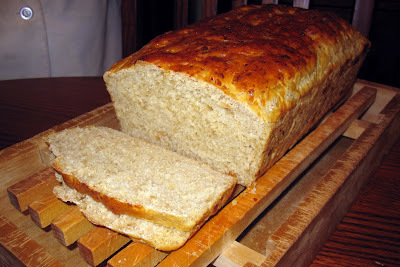 This is one of my favorite breads ever! I can't wait to make it again! It's amazing that it's so easy! Thanks Marni for sharing this recipe. It has been a big hit here! 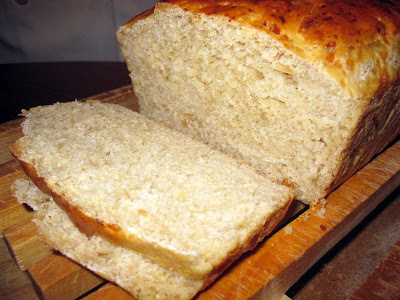 This is truly easy and delicious even for an inexperienced yeast baker like me. Mom - Since you first wrote those words, I think you've made this bread 5 more times? Something like that. Well, I haven't made it as many times as you, but I love it, too! Winnie - Thanks for catching that error! I added the baking soda back into the ingredient list. And thanks for the update after having tried out the recipe. I'm so happy to hear it's a hit with your friends/family! I just made 3 loaves at once and I think it worked well. 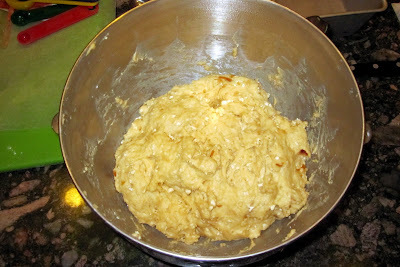 It was a little heavy for the mixer so I switched to the dough hook to incorporate the final flour.